01. Intro ( Composed by Brian Kim / BJD ) 0’48"
03. Empty ( Composed by Rodney Jerkins / Lyrics by Kyoko Hamler, L. Daniels, T. Parker ) 3'35"
05. Still in Love ( Composed by Kim, Jaejung / Lyrics by Kyoko Hamler ) 4'22"
06. I Can Soar ( Composed by Kim, Junsu / Lyrics by Kyoko Hamler ) 4'40"
07. I Love You_Feat. Flowsik (Composed by Park, Yucheon / Lyrics by Kyoko Hamler, Flowsik) 4'52"
08. 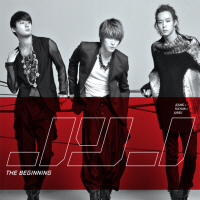 Be The One ( Composed by Jae Chong / Lyrics by Jae Chong, Terry Shorter ) 3'12"
09. Ayyy Girl_DJ EON Remix 4'10"